Picked up an offer from Florida State last night. Is Pat Richardson still the HC at Rice? I think it comes down to us, and Loyola... really want to lock him up before he leaves campus. Would have been nice to have him here September 8th for the Eastern Illinois football game. I would not underestimate Marshall. Loyola would seem to be the favorite. Catholic School. Potentially immediate playing time after current guards depart. 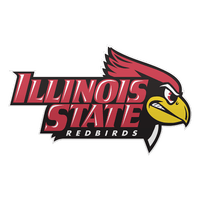 ISU definitely a strong option and we have the Brother Rice connections. Saw kid play a couple times last year. He def has High major athletic ability. Plays above rim. If he had a better jump shot and was 2 inches taller he’d be a blue blood. Would be a game-changing Valley player by junior year. Junior year? So based on how this fanbase reacted to Paris Lee, Keyshawn Evans, and Clarence, we will hate him for the first two years and ask Muller to recruit over him and ask him to transfer. If he ends up committing to us, let's all just accept this fact going in. Kennedy is visiting ISU this weekend. Anyone know how the visit went?